In game, you play a young and naive chef named Anna. As you progress, you learn more about Anna and the other contestants – some friendly, some not – through short intro and outro cutscenes. Naturally, you have a rival, who’s named Charles. He is arrogant and condescending, and wouldn’t it feel great to knock him down a peg! Hosts Padma Lakshmi and Tom Colicchio from the show are here. The graphics are cartoony, and all the characters are distinct and well-drawn. Even the food looks tasty! The music is taken from the TV show, adding to the authenticity. The “meat” of Top Chef is your time in the kitchen. Anna has to create dishes in two Quickfire Challenges and one Elimination Challenge in each of the 15 episodes. Before each challenge, Padma briefs you on what you’re about to cook and what requirements you have to fulfill. Anna gives you some helpful tips, then it’s out of the frying pan and into the fire. After Anna decides what dish she’ll prepare, like a canapé, grilled meat or sandwich, a recipe appears. But this is where Top Chef becomes wonderfully inventive. Rather than explicitly following a to-do list for a dish, you have to add the ingredients that you think are most appropriate. For me, the “tasty-looking” food is very important. That is what actually entices me to play these cooking games. Of course, the fact that you can make up your mind as to which ingredients to use adds another realm to the game. 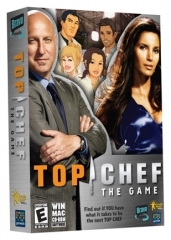 Perhaps Top Chef will beat all those other games out there. Of course, all of these elements belie a surprisingly tricky economic ecosystem which hides underneath, whether in sandbox or story mode, the main attraction. Assigned specific goals in each of 54 timed scenarios (build X many of a certain structure, reach Y income level, save up Z amount of cash) and six individual locations in the latter case, to meet them, you’ll need to think several steps ahead. Managing money and resources like building materials and employees is just the beginning. As play progresses, you’ll also need to buy blueprints for newer, more expensive attractions, acquire land to build them on, sell off underperforming acts and upgrade various park elements. Never mind mechanical repairs that can shut down your cash flow as quickly as they can a hot streak in one fell swoop. I can’t wait to actually play the whole game! It’s about time for another casual game review. This time, it is a game with an agricultural theme. Not everyone has been to a farm, especially these days, but I suppose most everyone has had a hankering for a rural lifestyle. Well, at least, if a real life experience is not possible, a virtual one would do. 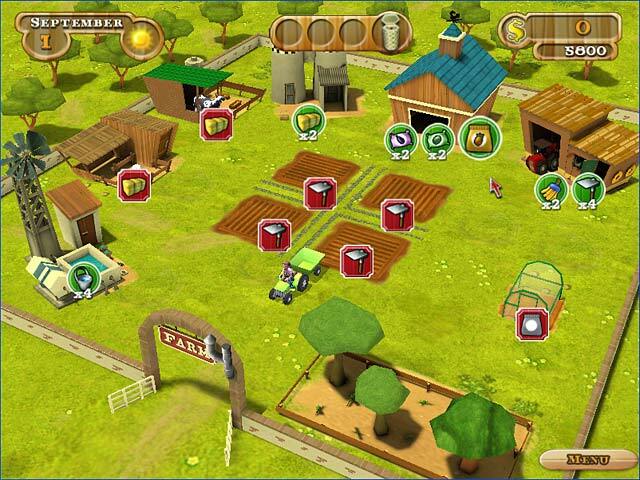 That is what Farmer Jane has to offer – a chance to manage a farm (or several farms, to be exact). The storyline isn’t that original, to be honest. Grandpa has problems with his farm, Jane and her brother (Joe, I think) help out and get suckered into working in other farms. The graphics are quite good, actually. Though there isn’t much by way of animation, the 3D graphics are pleasant enough to view. As for the game play, it starts out easy enough, which is a good thing for newbies. Seasoned “rush” and “frenzy” players might find the beginning levels a bit too easy, though. However, I would have to say that the escalation of the difficulty is quite interesting. The game still has some surprises for those who have been playing these types of games for quite some time. As a matter of fact, I got stuck in January of the 5th farm. The trick is to click real fast and to come up with a strategy that will allow for the maximum combos while keeping the customers happy all at the same time – which is basically what we do for these kinds of games. I’d say give Farmer Jane a try. If you like casual games, then I am sure that you have played at least one of the installments in this casual game series. 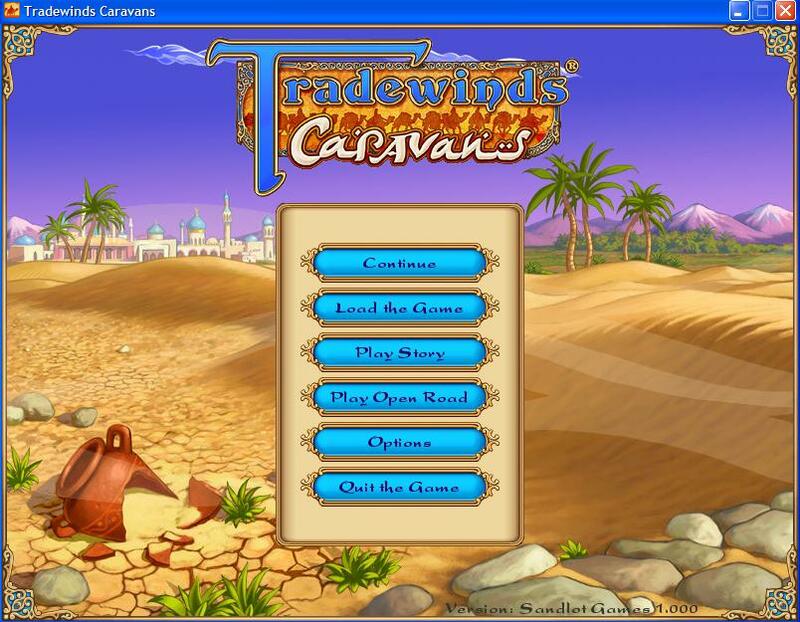 In some respects, Tradewinds Caravans is much like its predecessors. Still, it has some new additions to the gameplay which makes it quite engaging. The basic idea is the same. You play a character, which you can choose at the beginning of the game. Using this character, you wander around the Silk Road trying to make money trading goods while trying to stay alive battling the numerous bandits that ply the road. Of course, you still have to accept and complete tasks. One of the main things I like about this game is the dialogue. You have numerous dialogues with other characters in the game and they are simply witty. I think this is a trademark of the series. Even the old Tradewinds were known for their humorous lines. A new aspect to Tradewinds Caravans is how you conduct the battles. You can now hire various guards and mercenaries to keep you safe but they will not add to your goods capacity. For that, you have to buy pack animals at the stable. I think this aspect has made the game a bit more difficult than its predecessors. I have finished the game and I have unlocked 2 special characters. I will not be a party pooper and tell you about these 2 characters. Why not try out the game for yourself and experience it for yourself? Or is it the other way around? Lego plays Batman? It doesn’t really matter, does it? 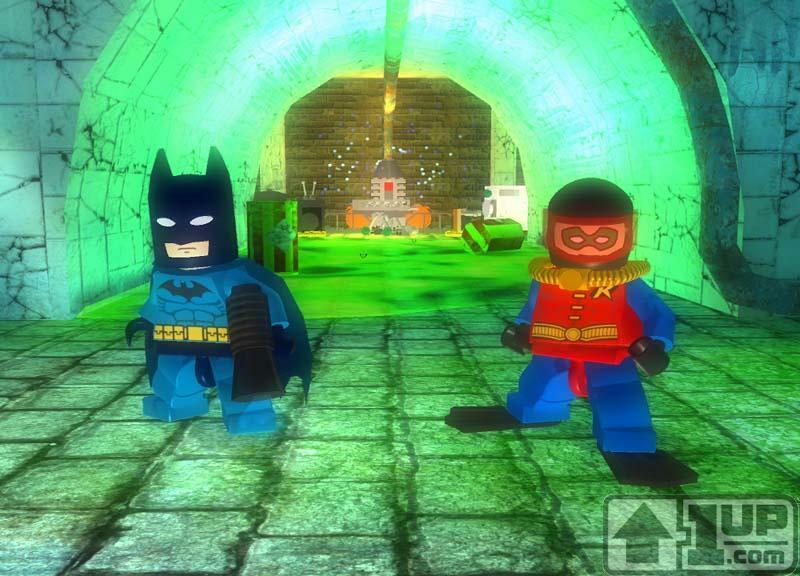 What matters is that we can all be playing Lego Batman pretty soon. If you are at a loss as to what I am talking about, go back a couple of years and try to recall the Star Wars game wherein the characters were made out of Lego. It was pretty cool actually. When I first heard about it, I honestly had misgivings. I thought that it was going to be lame. As it turned out, I was wrong. But basics aside, the dark and detailed cityscape isn’t the only thing that sets this apart from its Jedi predecessors. The fan-servicing Villain Mode allows players to run rampant in Gotham’s streets as notorious menaces like Catwoman, Joker, and Scarecrow, each with their own special abilities. But developer Traveller’s Tales isn’t going to let the bad guys have all of the fun. The Dynamic Duo has its own tricks: special suits. Like Batman and Robin’s gadget-filled belts, the suits allow them to do some amazingly useful things. In his Glide suit, Batman can cross long gaps, and, as you’d expect, with the help of hot air or steam vents, he can reach even longer distances and greater heights. The Sonic suit, which has the Caped Crusader holding what looks like a black bullhorn, sends out strong sonic waves that can shatter obstacles made from blue glass Lego pieces. And, of course, Batman has to have his explosives. With the Demolition suit, he can set and ignite Bat Bombs to blow up Lego objects. This is all the information they have for now but the screenshots look pretty good. I wonder if I can get my hands on a demo version anytime soon? Who says casual games are way too easy and have no story line at all? If you think this way, then you haven’t played too many casual games at all. I think that one of the more task oriented casual games that I have played is Hot Dish. I just got a copy from a friend a few weeks ago and I was immediately hooked. As the name implies, you get to pretend that you are an up and coming chef. You go through several different restaurants – from Italian to Asian to French. The hard part is managing your time when you have to make 3 dishes at the same time. The game play is quite complicated, simply because of the way you have to manipulate your mouse. The task windows tells you what you have to do and there are small icons which indicate the action – click, move the mouse up and down, left to right, clockwise motion, etc. Clicking is easy and so are the up-down and left-right motions. What irks me is that I have tons of problems with the clockwise motion (used for stirring, mixing, and grinding). It seems that it’s not only me who has this problem – people at Casualicious had the same problem. Anyhow, you can purchase recipes as you go along as you will be awarded stars depending on the judgment of the food critic after each meal that you serve. I am honestly stuck on the French level – I just have to finish the last meal and I need 42 stars to get past it but I keep getting only 40 or 38. Help anyone? 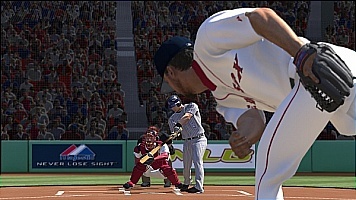 MLB ’08 The Show – Best Baseball Video Game? For you baseball fans with Playstation 3s, I strongly suggest walking down to your nearest Best Buy, Gamestop, Walmart or wherever you buy your video games from – and do yourselves a favor and pick up MLB ’08 The Show. Simply put, this game is the most realistic baseball game I have ever played. It’s sick. For starters, the graphics are amazing. The stadium recreations are top notch and the player movements are as real as they come. For example, if you play a game at Shea, there are cranes working on a half-done CitiField in the background. Sick. It actually really FEELS like you are playing a baseball game, which is why I like it so much. Not since Baseball Stars on NES have I enjoyed playing a video baseball game. Check out the YouTube video below and you’ll see what I’m talking about. I apologize in advance as the vid shows Pedro and the Mets losing to the Braves (which we all know will never happen lol). Notice how Pedro’s windup and pitching style is recreated EXACTLY in the game. Sick. I have not really played the whole version of the game as I have only tried the demo but from what I have experienced, it does indeed have the potential to be the best baseball video game in my book. So why haven’t I bought my own copy yet? Simply because I am not really into baseball for video games. If you are, though, you might want to check it out for yourself. Another casual game that is set to keep you playing all night long – well at least it kept me up all weekend! Actually, Airport Mania has not yet been officially released. Created by Reflexive Media, the official release date is sometime in April. Lucky for me and you – and the host of casual game enthusiasts out there – there is a Beta version circulating around the Internet. I was fortunate to run across one and have been playing it this weekend. So what’s so great about Airport Mania? Much like all other dash games, it requires coordination, time management, and strategy. The idea is to manage different airports by landing planes, unloading and loading them, and then making them take off again. In between, you might have to repair planes and refuel them as well. You can repaint planes in order to get higher matching color bonuses for the gates. 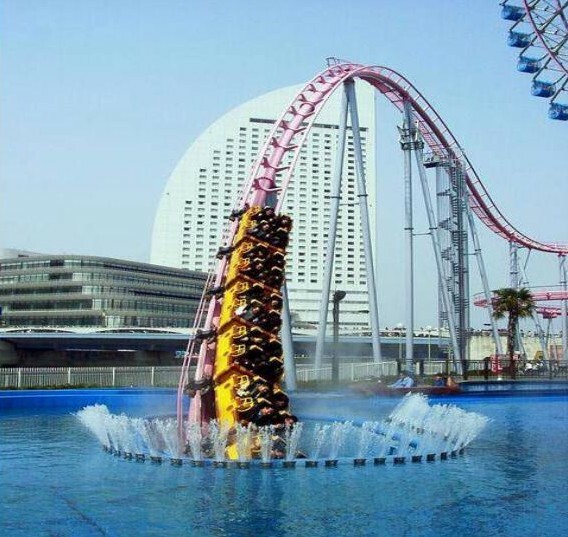 There are also numerous upgrades which you can buy. For the Beta version, there is a glitch which will not allow you to pass the second level of the second stage. I had to search for a workaround – it turns out that you have to merely pass the goal (the minimum requirement) and don’t earn any more points. If you do, and you reach the expert goal, the game will simply loop and not progress. Was I glad to have found that workaround! However, I was not able to get past the 6th stage (there are 8 in all). I have not found any solution as most people are saying that since it is a Beta release, maybe it really does not go past that stage. Oh well, for a Beta, 6 stages are good. I just have to wait for the full release. As you’ve probably surmised, I have been shopping this weekend. Together with the copy of Skate, which I reviewed in the previous post, I also got a copy of Dynasty Warriors 6 for PS3 – a game which I have been waiting for for quite some time now. It came out a month ago but I have not been able to get it till this weekend. So what’s the dish? The graphics are awesome – but I already expected that. The attention to detail and the effects will just blow your mind as you play the game! My problem is that my TV does not seem to be good enough for my PS3 games!!! I have a pretty nice Sony TV which performs very well for most anything but when it comes to PS3 games, it just doesn’t have enough resolution. 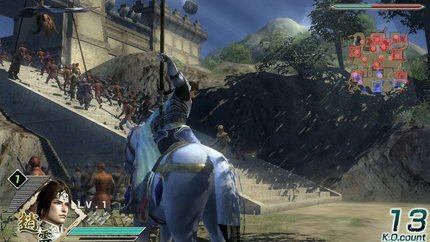 For Dynasty Warriors, especially, I can barely see the map and it makes for harder gameplay. Anyhow, there are some changes – naturally – with Dynasty Warriors 6 like during the preparation you can choose a weapon but you don’t have your choice of officers – maybe it’s just like that in the beginning. I haven’t really made much headway because of the TV issue. In any case, it still is a game worth buying for yourself. 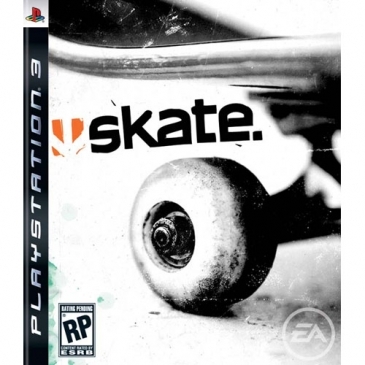 I have been playing Skate since I was able to download its demo from the PlayStation Home. To be honest, I never really was interested in buying the game. For one, I am no skateboarder in real life. I think that if I even dared to try it I would be the laughingstock of the most average of skateboarders out there. Yet when I tried the demo, I found myself unable to stop playing it. Ever since I started playing the demo, I knew that would buy the game and finally, this weekend, I bought my own full copy. What can I say now? It has not failed my expectations. Perhaps one of the best things I like about Skate is the fact that you can merely roam the streets and the areas of the map. You don’t even really have to take on challenges – you only have to go around and do your tricks. The open environment is something that I really appreciate. More so, some of the tricks are not that easy to master. You need to learn how to flick the analog sticks and you get a sense of achievement when you get to master a trick. It gives you pleasure – as Joe B says in his blog, you are not merely “mashing buttons” to get the tricks done. I am really excited about trying out the online venue but unfortunately, my Internet connection does not seem to be cooperating. I have had the game for a day or so only so I am sure that I will be able to figure this out soon enough. If I were you, I’d buy your own copy now.